The energy landscape has become increasingly complex. Globally, we’re relying less on centralized, steady power sources – such as gas-fired and coal-fired power stations – and more on mixed, locally-distributed renewable energy supplies including solar, wind, and battery. While this is positive for the environment and carbon emissions, it makes balancing power grids a much more complex task. Power quality and reliability becomes more variable in output, while demand for power continues to increase steadily. 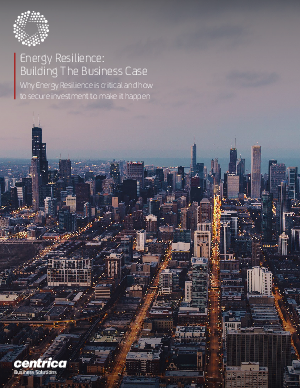 But when it comes to energy resilience, many organizations simply don’t know where to start. What solutions are available? Which are the best ones for their specific situation and physical premises? What will be their return on investment? Is it simply the cost of doing business, or is there actually a business case? This guide will give you the tools and data to build your understanding and quantify the benefit for your organization.